I have always been a fan of the USA made steel Trek bikes built in Wisconsin up until the mid to late 1990’s. 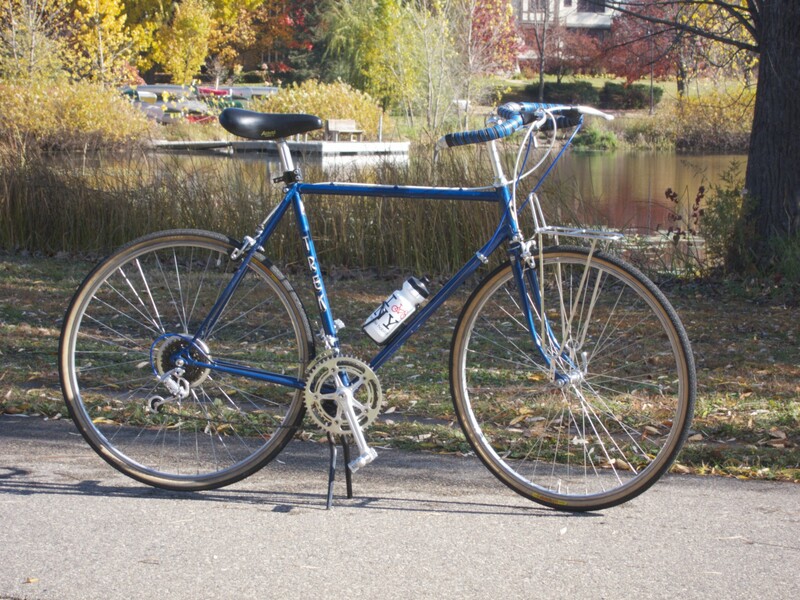 When I was working at Penn Cycle in the late 80’s I came to appreciate the much better build quality of Trek bikes, relative to comparably priced models from other brands, and loved hearing the stories of the first bikes being driven up to Minneapolis from Wisconsin in the trunk of a car to be demonstrated for the store owner. Of particular interest to me as I start my bike restoration and building career are the very high quality lugged steel road bikes from the late 70’s and early 80’s. While many companies from Europe, Japan and the US were building great road bikes during this era Trek’s were notable for a number of reasons and Trek was really at the top of their game from a manufacturing quality standpoint. I was lucky enough to acquire this bike from the original owner who put the bike together himself back in the early 80’s and had taken exceptional care of it since then. Today you could not buy a comparably built frame from any builder in the world for even half of the very fair price I paid for this bike. 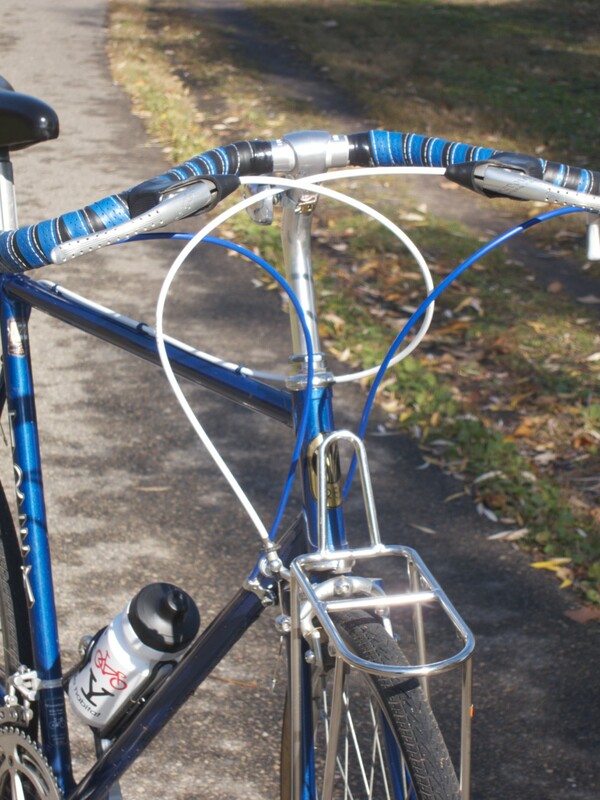 The frame is a hand made, silver brazed, lugged steel beauty made from Ishiwata 022 tubing in November of 1979 at the Trek factory in Waterloo Wisconsin. The 22.5″ size seems to fit me just about perfectly, although I will be happy to have the bike slightly lower overall once I install the new 650B wheels I made from Velo Orange rims and high flange hubs. 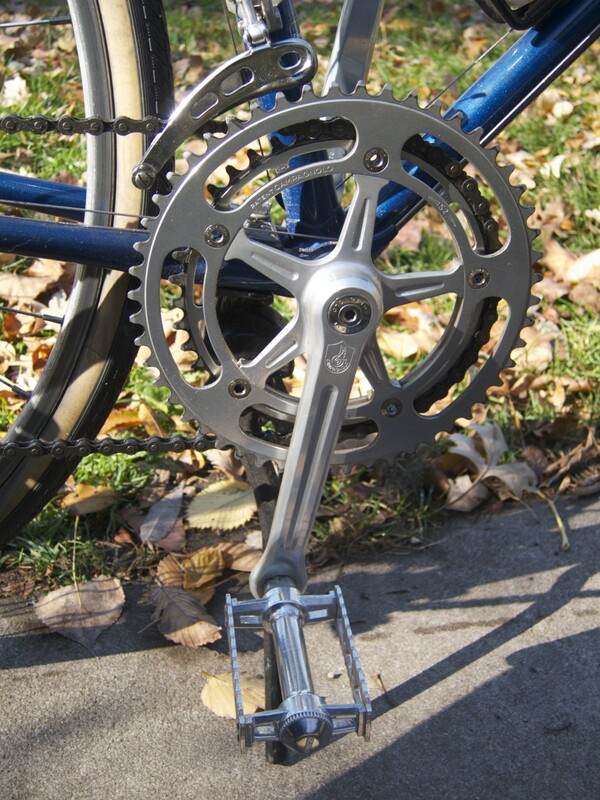 Unlike the off the rack Trek bikes from this era this particular bike was purchased as a frame and fork and custom built with some of the best components available at the time including a full Campagnolo drive train, Modolo brakes and hand made Rigida wheels. This first set of pictures shows the bike with these original components in place, along with the Panaracer 1-1/4″ tires, Nitto Dirt Drop stem, Mustache bar and Velo Orange front rack that I added when I first set up the bike as my daily commuter. The ride and build quality of this bike is among the best I have found from any era so I have decided that this bike deserves a few more modern updates that will compliment it’s vintage beauty. Having spent the better part of the past two years doing extensive research and riding all sorts of various lugged steel bikes from the bike boom years I think this Trek has a bit of magic that I attribute to both the quality of manufacture and the Ishiwata tubing. I have ridden this bike side by side with more modern and high end steel, aluminum and carbon fiber bikes and I think this particular frame has all the light weight and sprightliness of the best Reynolds and Columbus tubed bikes. For a rider of my size (6’1″, 220) it also feels much better and considerably more rigid than the Trek 720’s and 620’s of the era, (due in part to the shorter chain stays) which are widely regarded as some of the best for fully loaded touring. While I don’t dispute those early 80’s Trek’s are fabulous touring bikes and fine vintage alternatives to the great modern bikes like the Surly Long Haul Trucker, my personal favorite from this era for loaded touring is the brilliant Miyata 610 that I rode through the Netherlands and Belgium this past spring. This Trek feels like the sport touring younger brother to that Miyata, which has inspired me to build it up into a day tripping, rando style bike with just a few modern touches. Side note: Like the earliest Trek bikes, the Miyata 610 and 1000 of the early to mid 80’s are quite often an incredible value on the used market if you can find them. 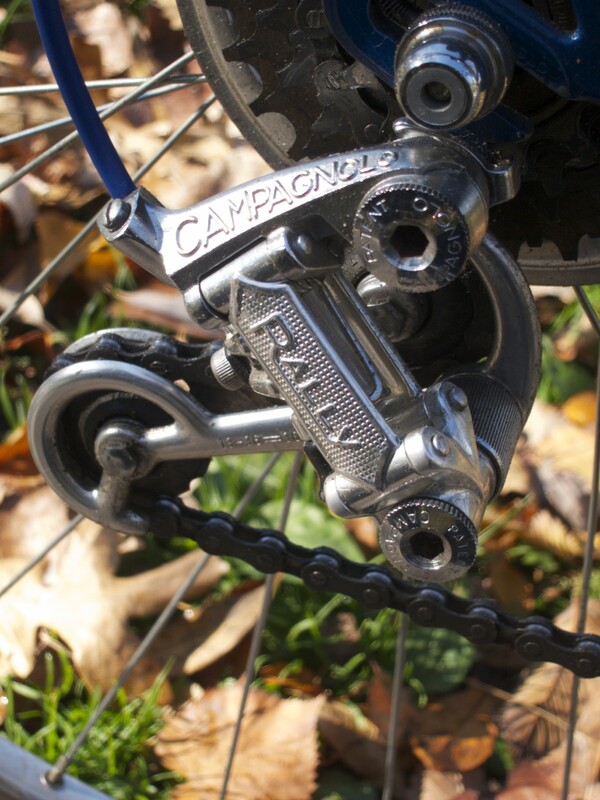 Of particular note on this bike is full Campagnolo drive train and the absolutely beautiful Rally rear derailleur, which despite being over 30 years old provides ultra smooth shifts pared with my Shimano bar end shifters. In part two of my review and documentation of the refurbishment for this lovely Trek I will cover the second round of updates for the bike including the aforementioned 650b wheels and a rear rack and fenders that will make this a full blown Randonneur.